Educate legislators as to what Landscape Architects really do. It is incredible in our meetings the lack of understanding of our profession! We share the educational, experience, and examination requirements to apply for licensure. More importantly, we share in-district projects that Landscape Architects work on, to familiarize them with services we provide. Discuss the path to licensure. It took over two decades of work to first gain a Title Act in 1995 that defined our profession by statute, and our Practice Act then passed in 2009. We finally had our seat at the table! The 2009 bill also included an alternative path to licensure—a provision that allowed an individual with seven years of experience under a licensed practitioner to apply and sit for the Landscape Architecture Registration Exam—the only such provision in the US at that time (now, numerous states provide an “experience only” path to licensure). This negates WILL’s claim that professional licensure prevents people from working in a profession that is currently regulated. Highlight Landscape Architecture’s significant impact on public health, safety, and welfare, including reviewing the numerous governmental agencies—federal, state, and county—that require stamped and sealed documents. For these projects, a Landscape Architect is charged with adhering to numerous design standards, building codes, zoning ordinances and agency rules, which further showcases the accountability that the licensed Landscape Architect brings to the table. Also, the licensed Landscape Architect carries Errors & Omissions (E&O) insurance. This is the enforceability that licensure provides. Without state licensure, the practitioner cannot obtain E&O coverage and the consumer is at risk of the perils of liability. Review how the services provided by a Landscape Architect are distinctly different from a ‘Landscape Contractor’ or ‘Landscape Gardener.’ I attended a presentation by Collin Roth, the WILL report’s author, at a recent Americans for Prosperity event and asked where he had obtained his information. Rather than debate, I asked if I could forward him information about our profession and meet to discuss. Mr. Roth never responded! This point simply demonstrates that the entire ‘report’ was based on hyperbole and not on researched facts. So why is this relevant to you? If one state goes down the path of de-regulation, others will soon follow. As ASLA National reports, in 2017 four states overcame legislation to deregulate the landscape architecture profession and one state is still in play. Additionally, numerous other states faced bills that called for studies of state occupational licenses and/or some other type of licensure reform. As our Chapter Membership Chair, I hear both members and non-members gripe “What do I get for my membership? A magazine?” I respond that you get to advocate for your profession—and your ability to earn a living. 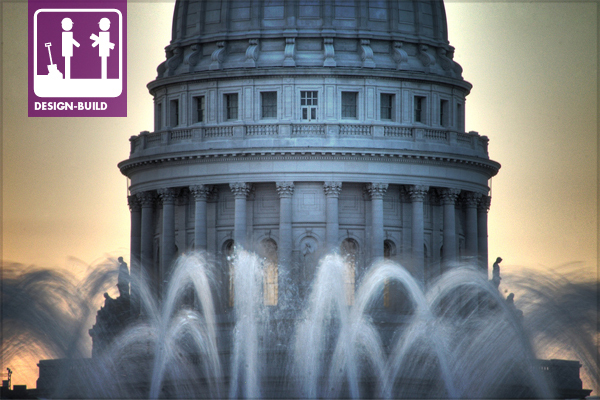 The Wisconsin Chapter employs the services of a state legislative consultant—aka lobbyist—to coordinate our legislative meetings and content. His services are well worth the cost. The Chapter also consults regularly with ASLA National and State Government Affairs staff and has utilized several ASLA National advocacy tools including the newly updated Landscape Architecture Licensure Handbook. Every day is Advocacy Day! So I guess this guy is doing the same for Architects, Engineers, Surveyors, Layers, etc.. no? Would like to ask lawyers what they think about this.